No question or concern is too small. We treat every pet as our own. A full-service veterinary facility providing pet health services at affordable prices. Our professional and courteous staff seeks to provide compassionate medical, surgical, and dental care for pets. If You Have Questions, We Encourage You To Contact Us. Ours is a group of experienced pet doctors providing compassionate pet care services. 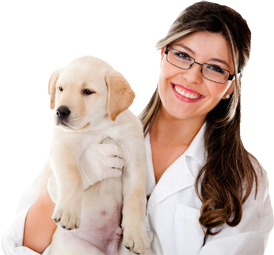 All our staff is highly experienced in undertaking pet health services. Our facility is equipped with state-of-the-art pet vet medical equipment. Most importantly, we are proud pet owners ourselves and understand that a pet needs health care services with a mild dose of love ! Our courteous staff is always available to answer your pet related queries. Please take a moment to browse through our website to learn more about our veterinary services.